Congratulations to Rhonda McFarlane and Erin Clayton from St Joseph’s Catholic School Fairfield who graduated on 19 December at the school’s end of year Mass. Rhonda and Erin graduated with the Diploma of Religious Studies – Religious Education stream. Erin has now enrolled in the Graduate Certificate in Catholic Leadership and Culture through TCI and the Australian Catholic University. Recent Catholic Institute Graduates Erin Clayton (right) and Rhonda McFarlane (middle) with Cynthia Piper from the Catholic Institute. The Pompallier Hokianga Trust has the mission of preserving and promoting the memory of Bishop Pompallier as the first Bishop of Aotearoa New Zealand and his role in founding the Catholic Church here and in the Pacific. 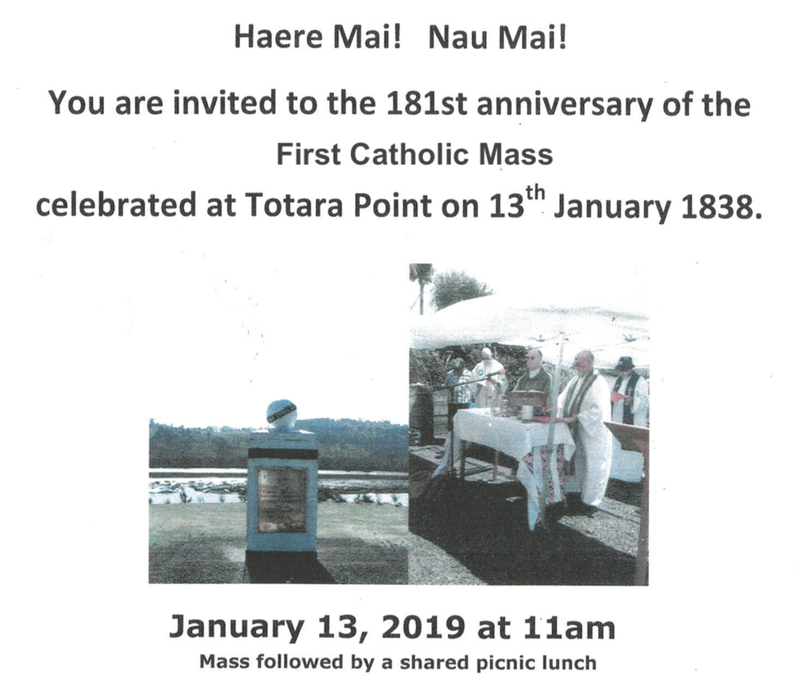 The poster below gives the details of the coming celebration at Totara Point, North Hokianga on Sunday 13 January 2019 at 11am and the map describes the route. There is a yellow road sign opposite the entrance to the memorial plinth at Totara Point. We know that many from all over New Zealand travel during the summer holidays, often to Northland. Visits to Motuti are encouraged at any time during the year. As part of the restructure review, New Zealand Red Cross is pleased to advertise two new roles for Hamilton : Pathways to Settlement Manager and Settlement Lead.